Frittata is a favourite in our house – especially for brunch with friends. 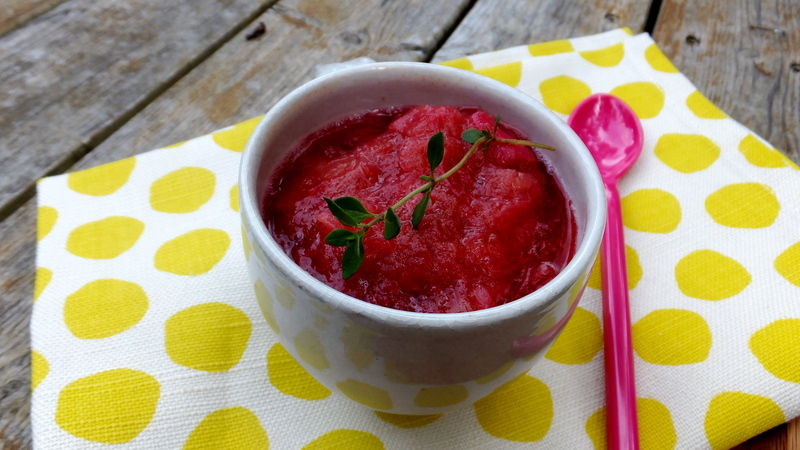 Below is a modified recipe of a fantastic recipe by Sackville on Genius Kitchen. Thank you, Sackville! Peel and chop up your potatoes into cubes and throw them into boiling water to cook. Chop up your bacon into 1-2 inch chunks. Chop up your onions and mushrooms as well. Place the bacon into a large sauté pan and start frying it on medium-high heat. Once the bacon is nearly cooked, add the onion, tomato, and mushrooms and stir until cooked. Add the potatoes and gently stir in so it’s evenly mixed. Make sure the combined ingredients are level in the pan. Sprinkle on about 1/4 of cheese on the surface. In a medium sized mixing bowl, beat your eggs and add the dried basil, some of your fresh basil and thyme, salt, pepper, and 1/4 cup of the cheese. Keep some of your fresh basil and thyme aside to use for garnish when serving. Pour the egg mixture evenly over the top of the ingredients in the pan. Cover the pan and cook for a few minutes until the egg is nearly cooked. I’ve been trying to get my little man to eat his eggs, but regardless of the style – scrambled, boiled, puréed, fried, steamed – he spits them right back out. Recently, I found that making a sugar-free version of crême brulée got him to eat them, which is all well and good when I have time to nurture the eggs from pot to oven. And then, my momma came to visit and showed me the REAL way of making Chinese steamed egg custard. The eggs come out silky smooth like soft tofu and for our guy, he seems to prefer things with a smoother texture. The greatest part is that this custard takes all of 10 minutes to make with most of it in the steamer with a timer on. In other words, it requires little to no supervision… unlike the crême brulée. I like using whole cow’s milk or goat’s milk for my custard, as it’s for my baby, but the recipe typically uses water. If you’re making this for yourself, you can flavour the custard with a splash of sesame oil, soy sauce, and sprinkling of chopped scallions or chives. 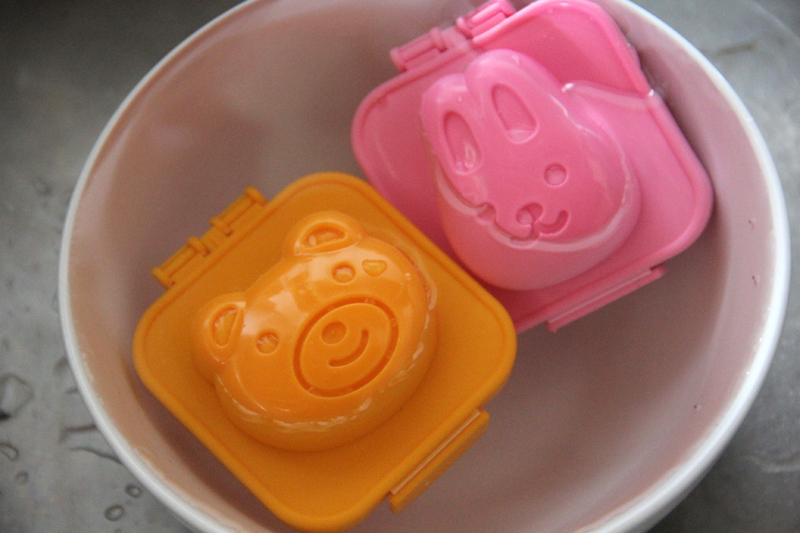 The next time you make hard-boiled eggs for your kids (or yourself), try these darling Yude Tama egg molds. If you’re not able to find them in a local Japanese specialty store, you can order them from Kyoto-based Bento & Co, who happily ship anywhere in the world. (More about their fantastic online store here). The molds come in two different packages: one that contains a fish and car, and the other that includes a bear and rabbit face. As for making the eggs themselves, the process couldn’t be simpler. So simple that your little one can help you turn the eggs into their cute, whimsical creations. 1) Boil your egg as you normally like them. As a tip, counter to what is a popular practice, avoid putting salt in the water. The salt can result in a rubbery texture. I like mine medium-boiled, so I normally place my eggs in cold water where the water just covers the eggs (about an inch of water above the eggs) and bring the water to a boil. I turn down the heat to low to keep the simmer, cover the pot, and let the eggs sit for 4 minutes. 2) Once your hard-boiled eggs are ready, put them into cold water. Let them sit for a couple minutes or so to cool enough to hold and ready your molds! 3) Gently peel your eggs and place them into your mold. 4) Close the mold and place the eggs back into the cold water. Let them sit for about five minutes. 5) When you open the molds, they’ll be staring back up at you as the bunny, bear, fish, or car from the mold you used. These molds offer a great little touch of playfulness to start your day.